Yesterday went by way too fast!! Between soccer, groceries, laundry and going to see Frozen I feel like the weekend is passing me by. 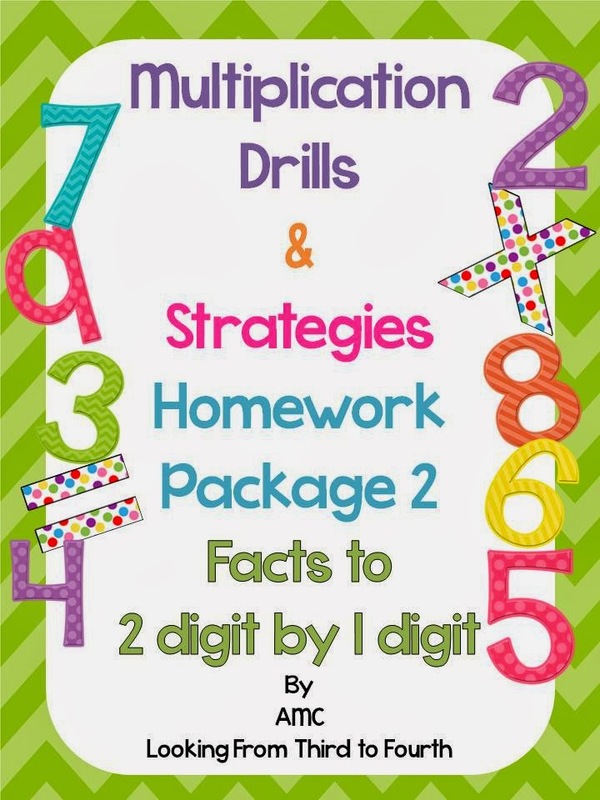 I am doing some planning for the upcoming week and thought I would share one of the mentor texts I will be using for math and of course I am linking up with my friends Stacia and Amanda for their Must Read Mentor Text Linky!! 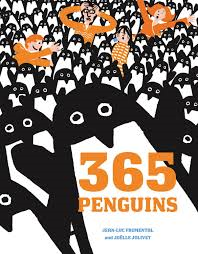 One of the books I will be using this week as we move on to multiplication is 365 Penguins by Jean-Luc Fromental. 1) to demonstrate that grouping like items and multiplying is faster than addition, if we have to keep counting 1 at a time, this will take forever, we need to organize them into groups and work from there. This page shows them all over the place - we need to organize the penguins that keep showing up - this will be a great time to use manipulative and make arrays and equal groups. 2) to teach/review multiplication by 1 - which c'mon is one of the most fun things to teach!! My grade 3's are just starting out with multiplication and on the first day I like to teach multiplying by zero and 1 because it blows their mind that they can multiply any number!! So we will work on figuring out how many penguins in one day, one week, one month, a year, 500 days, 5000 days etc. Love it. I need them to go home on the first day with some skills since this is also they day they get their multiplication homework package - a series of worksheets to practice their skills at home! 3) To model making equal groups. 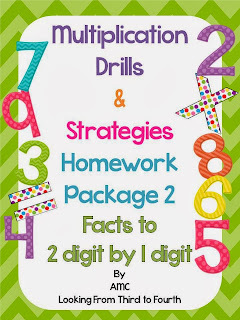 Last year I used Laura Candler's Mastering Math Facts - Multiplication (here is a freebie from this resource). Since I have some of the same students I am changing things up and using penguins and snowballs to model equal groups. I made a sheet with 12 penguin cards that students will cut apart. I will tell them how many penguins, let's say 4, and how many snowballs, how about 3 and they will model it on their page and record the multiplication sentence that goes with the model. Of course we are using mini-marshmallows for our snowballs, woo hoo!! 4) For some penguin problem solving, easy for my grade 3's to more challenging for my higher grade 4's. I made up a little page for their answers so they can make a model, show with numbers and explain with words. I also made a blank page for my fast finishers to make their own problem. 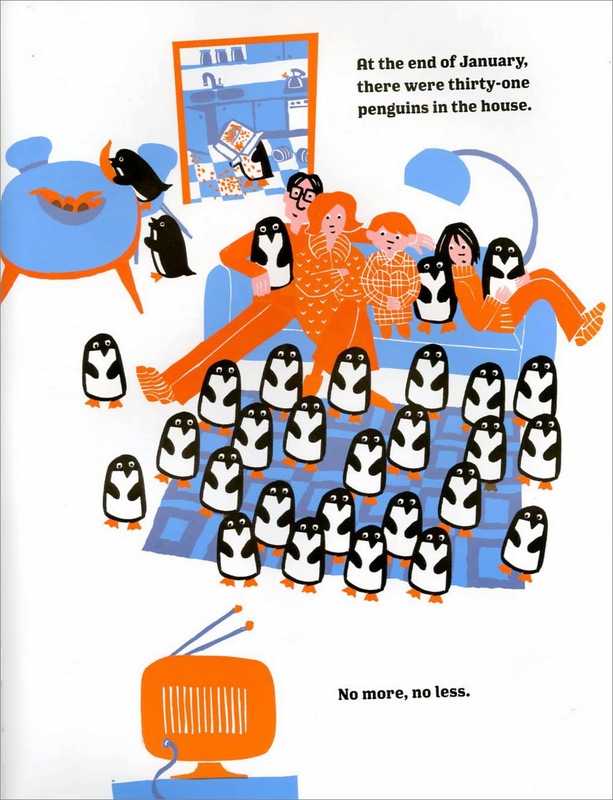 If you want these penguin pages, click here to pick up a copy. I am also linking up with Charity for her Manic Monday Linky!! This book looks adorable!!!! LOVE!!! I've never seen it!!! Perfect for winter and multiplication! Your penguins and snowballs activities with marshmallows is sooooooo cute. I kinda want to go back to multiplication for a minute and to that!!! (ok, no lie, my 2 year old just came and asked me for marshmallows right after I typed that- weird!!!). Maybe I can adapt it to division...hm, my brain is going....maybe they are going to build a snowfort and have a certain number of snowballs/marshmallpows but then each wants their own fort so they have to divide them among a certain number of penguins...I'm going to have to smooth it out but you've given me something fun to think about! And we can always use the word problems! Thanks so much for linking up my friend!!!! PS- Wasn't Frozen cute? That song was stuck in my head for days!! It's one of the top songs on iTunes! I have that book! I can't believe I didn't think to use when we started multiplication. Maybe I'll use it as a review. Thanks for sharing. Frozen - My new favorite movie! We just started with arrays in second grade, so these problems will be perfect for some extra practice. Thank you for sharing! I've never seen this book- it looks like a really fun read aloud for the new year! What a fun book! I love the activity you have planned for the kids! They will have have so much fun. And I love those word problems for the kids. They really do make them think, something that is so hard for many of our kids! Did you love Frozen??? I did.... and it's rumored to be coming to Broadway... I need to figure out a way to go!! Oh PS- I guess I should comment on the point of your post, yeah? The book and word problems are great too. ;-) LOL!! I've never seen that book before... Thanks for sharing, I'm going to be checking it out as a must for next year when we start multiplication. 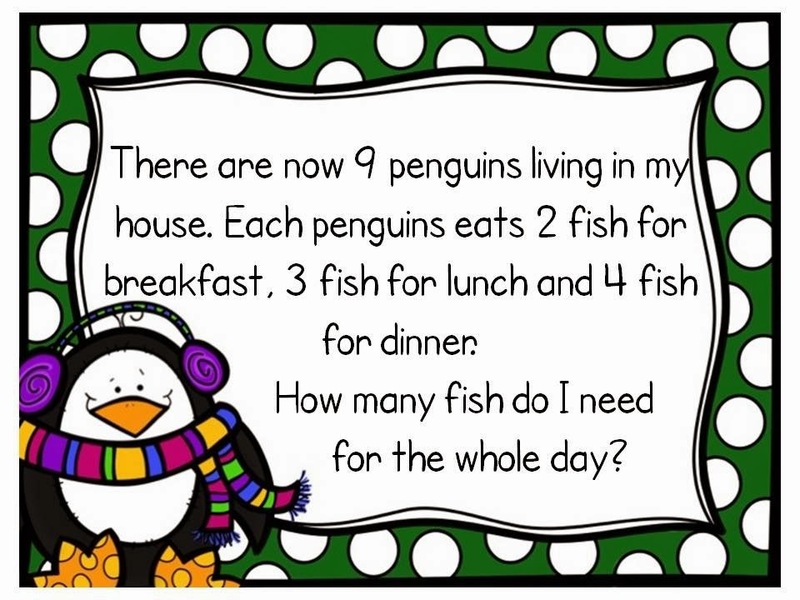 I love the way the penguins need to be organized because it helps students to think of multiplication in a way beyond just 3x5.